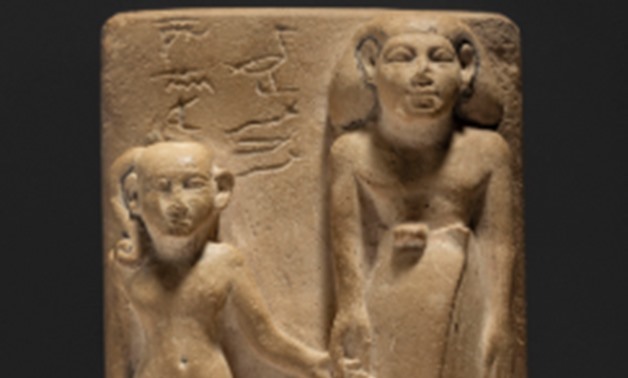 CAIRO - 8 April 2019: Christie's Auction and Private Sales in New York is holding an auction entitled "Antiques", which includes many antiquities dating back to ancient Egypt, in addition to antiquities from the Roman Era. The antiquities will be held for sale on April 29. Among the pieces held for sale is an ancient Egyptian statue made of limestone, spanning back to the 12th and 13th dynasties (1878-1750 BC). The height of the statue is 17 cm, and is estimated to cost between $250 to 350,000. Christie's is a name and place that speaks of extraordinary art, unparalleled service, expertise and global reach. Founded in 1766 by James Christie, Christie's has since conducted the greatest and most celebrated auctions through the centuries providing a popular showcase for the unique and the beautiful. Christie's offers around 350 auctions annually in over 80 categories, including all areas of fine and decorative arts, jewelry, photographs, collectibles, wine, and more. Prices range from $200 to over $100 million. Christie's also has a long and successful history conducting private sales for its clients in all categories, with emphasis on Post-War & Contemporary, Impressionist & Modern, Old Masters and Jewelry. Christie's has a global presence in 46 countries, with 10 salerooms around the world including in London, New York, Paris, Geneva, Milan, Amsterdam, Dubai, Zürich, Hong Kong, and Shanghai. More recently, Christie's has led the market with expanded initiatives in growth markets such as Russia, China, India and the United Arab Emirates, with successful sales and exhibitions in Beijing, Mumbai and Dubai.